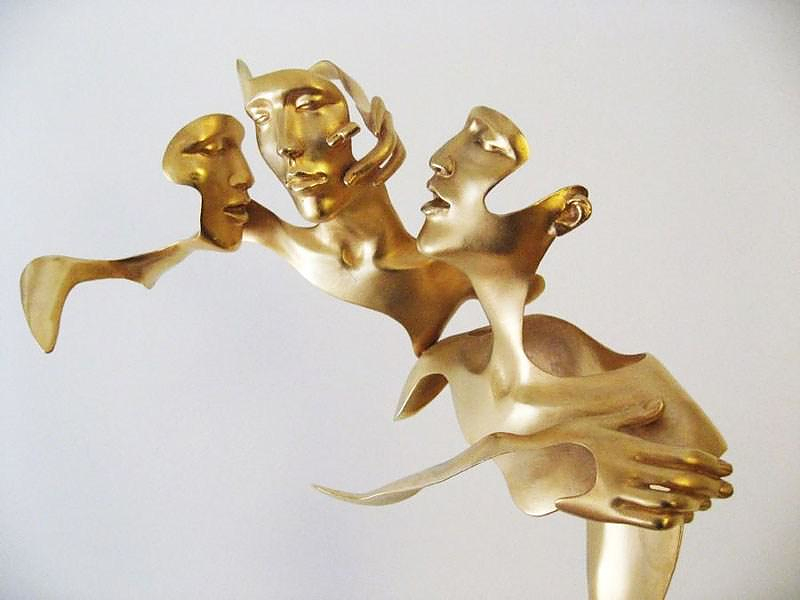 HomeBlogArtDissolving Figurative Sculptures by UNMASK. 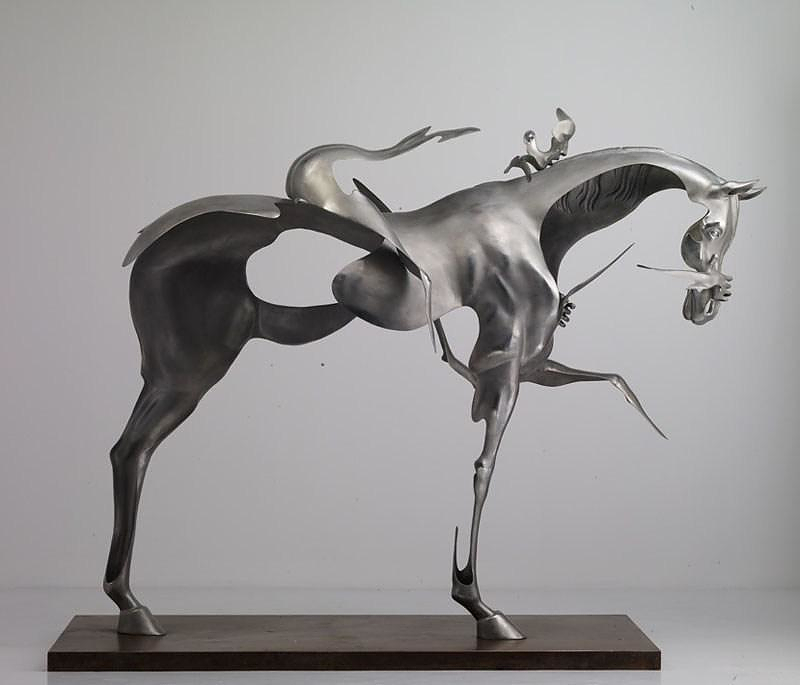 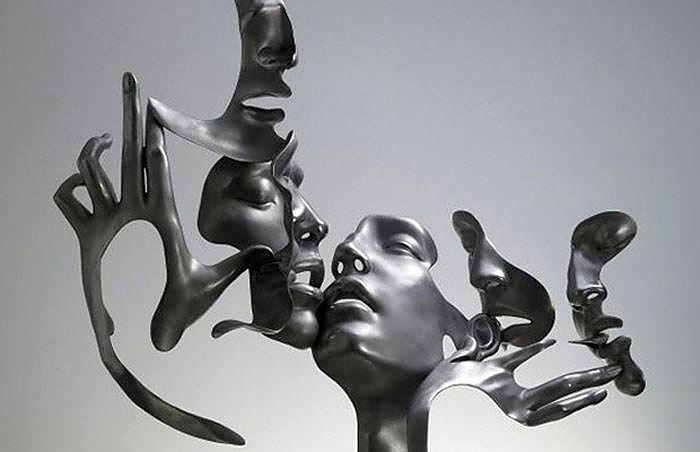 Beijing based artists Liu Zhan, Kuang Jun and Tan Tianwei who go by the name Unmask present a series of impressively elegant metal figurative sculptures that appear to be dissolving in air. 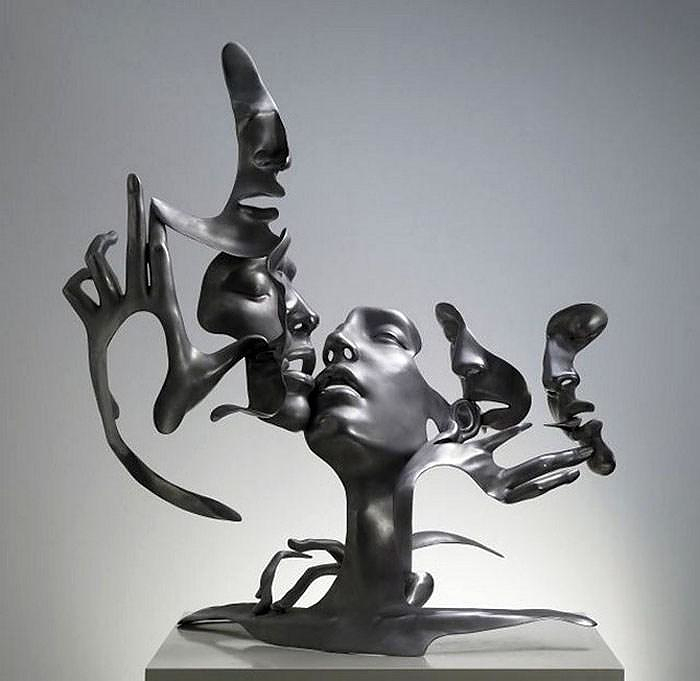 Liu Zhan, Kuang Jun and Tan Tianwei met one another at the Central Academy of Fine Arts and has been doing sculptural work together since 2001. 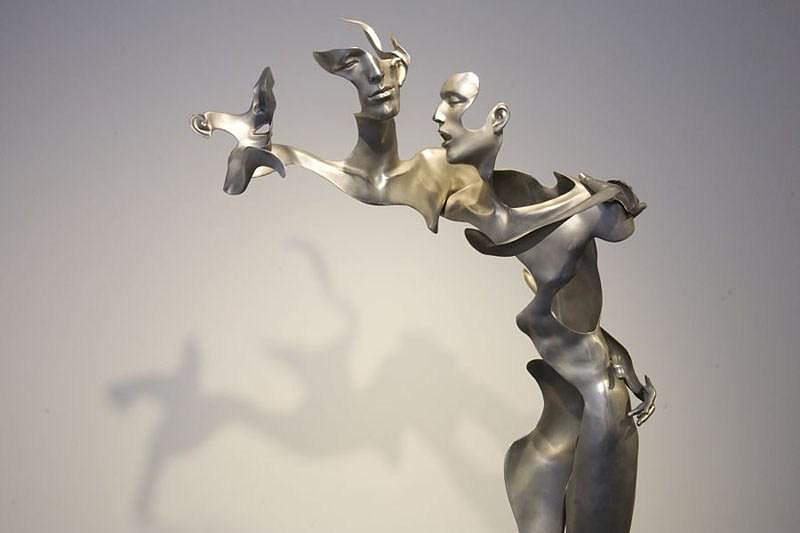 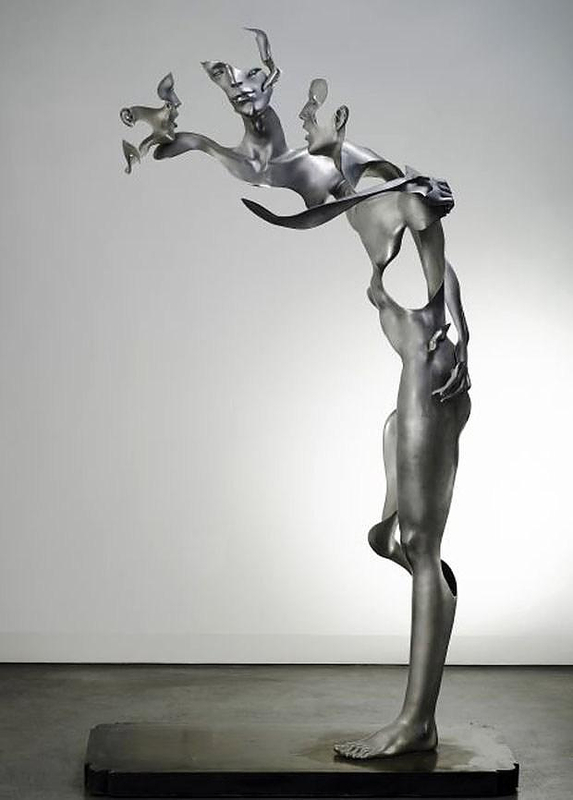 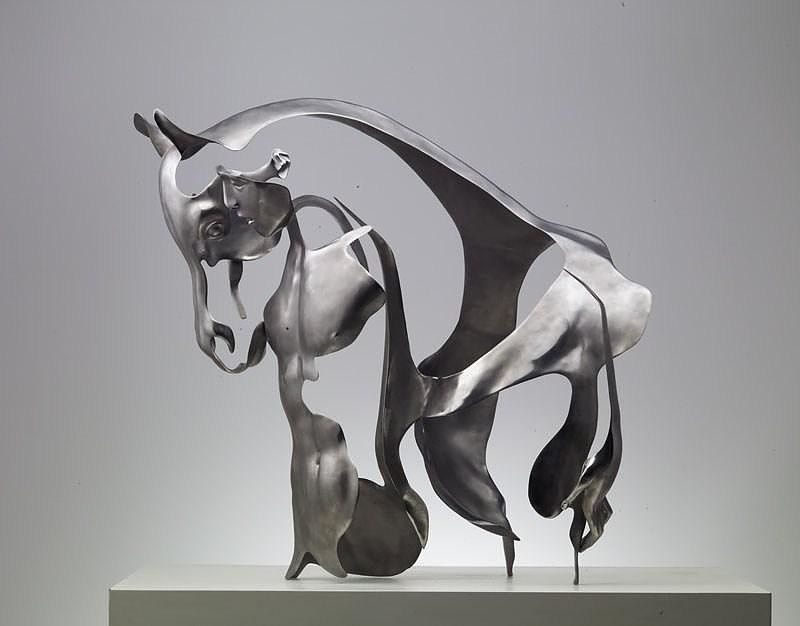 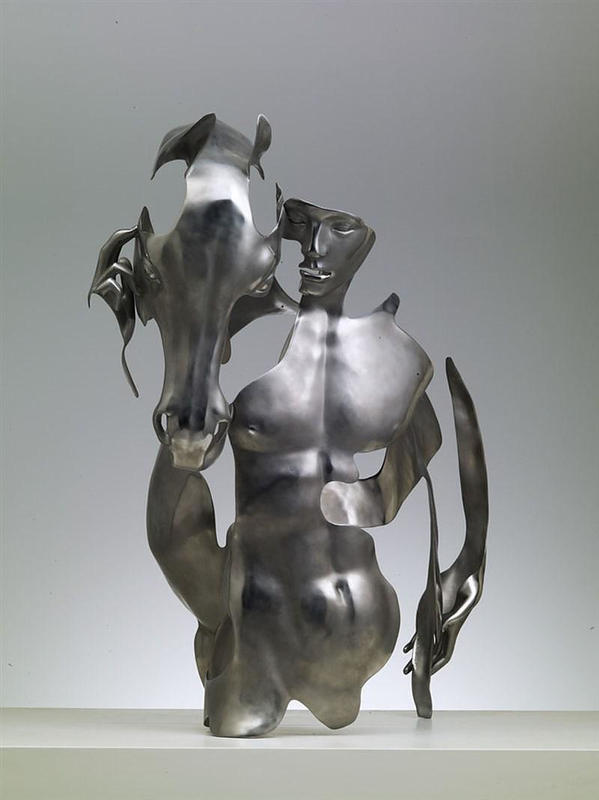 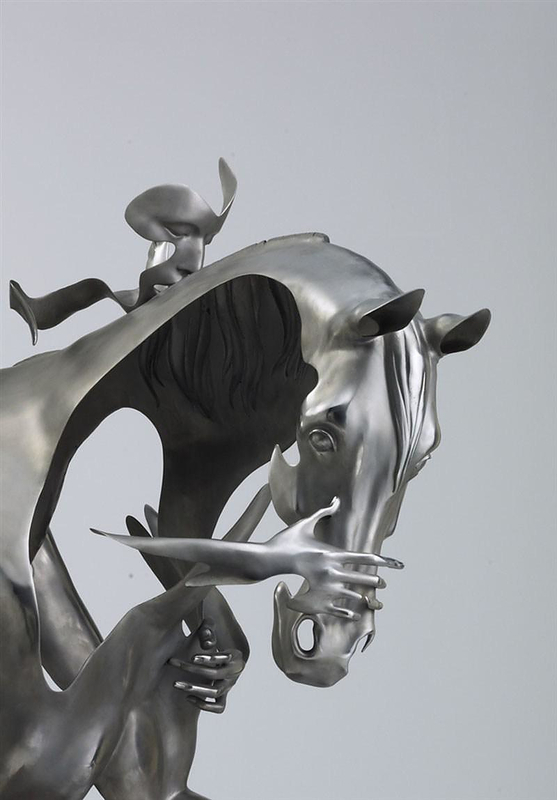 Their latest work is these stunning figurative sculptures made of stainless steel that appear to be in a state of dissolution. 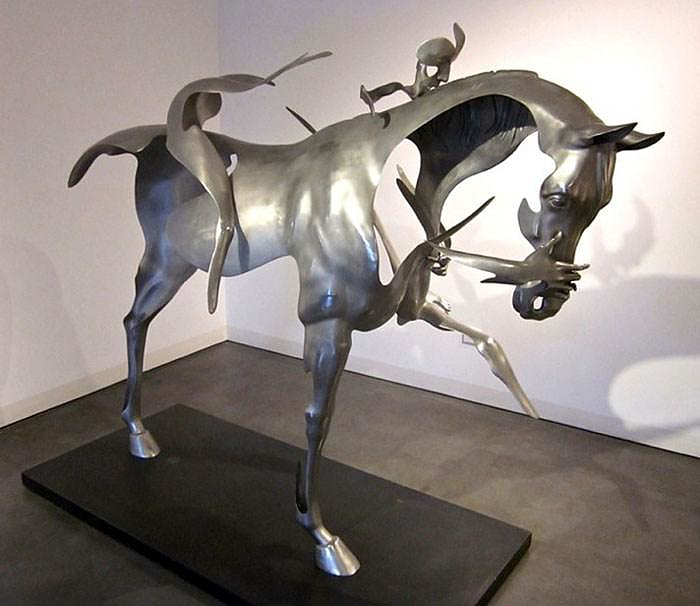 The abstract aesthetics of these impressive pieces makes the viewer focus on the minimal details of intimate moments between humans and compositions that portray humans and horses. 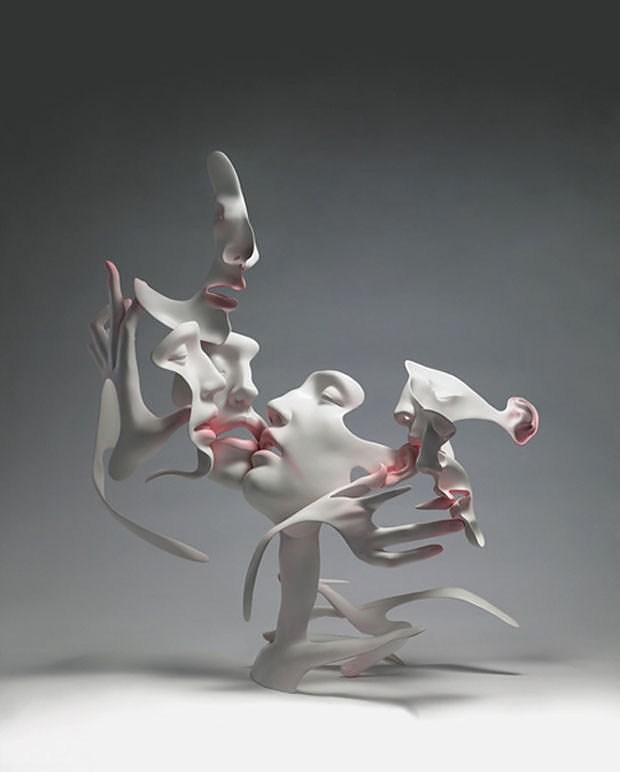 With their delicate lines and smooth curves created by the absence of materials, these exquisite sculptures radiate an unusual sensuality.